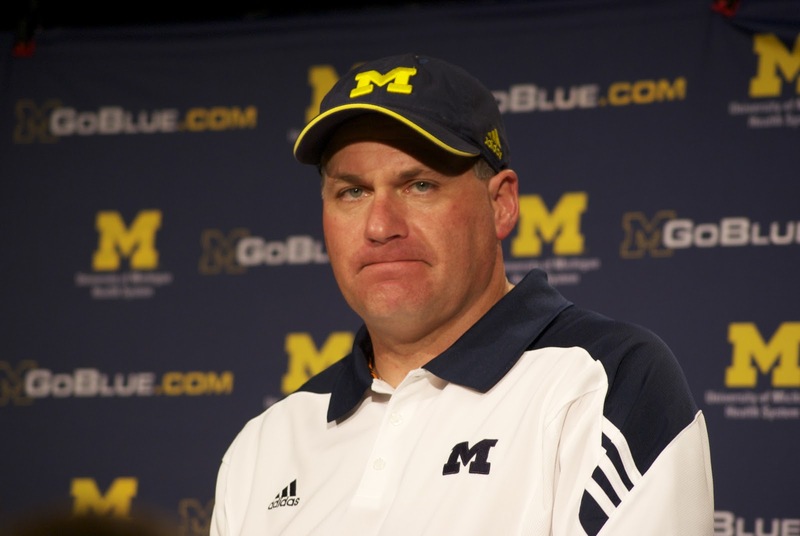 No official word yet, but according to Fox 2 in Detroit, Michigan's head coach Rich Rodriguez has been fired. This would seem appropriate considering it was widely reported that the coach had a sit down meeting with Dave Brandon today at 2PM. Expecting to get official word sometime after a scheduled team meeting tonight at 7PM. But for all intents and purposes, the Rich Rodriguez era at Michigan has come to and end. Is that the only picture of Rodriguez you have, Brad? You've used it like three times. Sorry if it's starting to get overused. I use it because I took it, and I like it.